Update 30 April 2016 – note that the below events are for 2015. I’m sorry but I’ve not had time to update this but have left these listed as many events run every year. Check the sources, visit @NgaleNights and search tweets for reports or search twitter itself. All the below are events organised to try and hear singing Nightingales. Please check first with the organizers (not us) before setting out. Most require advance booking, prices vary, and most take place in the evening but the birds also sing in the day. Of course you can also find your own Nightingales – see Places. 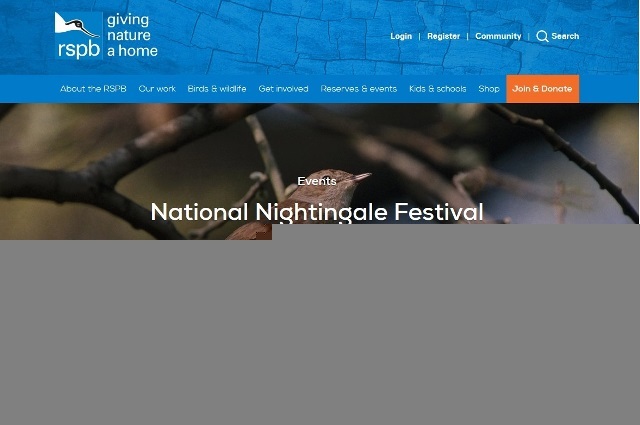 Do you know about another Nightingale-related event … whether going to hear them or something else. ? Please let us know and we will try to post it here.